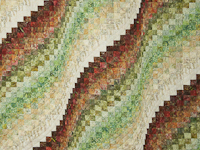 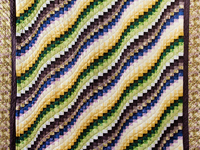 Quiltmakers: Patterns are available! 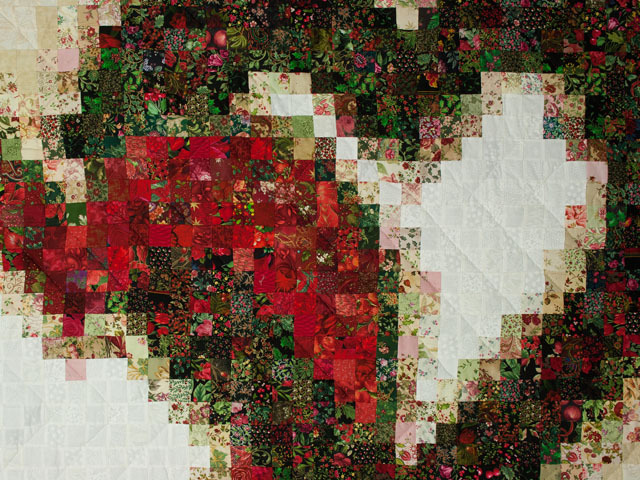 (See below) Linking Hearts, made by Mabel's quilting friends, is a rather complex quilt design due to the many 100% cotton fabrics used and the design not being a uniform typical block patchwork pattern. 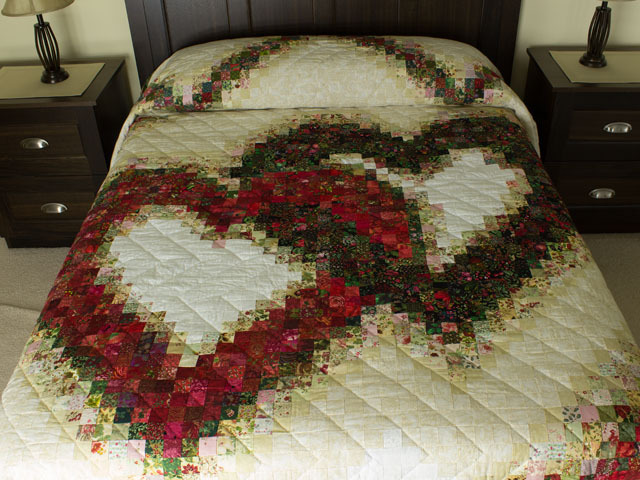 It's is beautiful on the bed and certainly tells the story of a wonderful cozy quilt with a theme of love. It is beautiful and well pieced here in our great Lancaster County area. 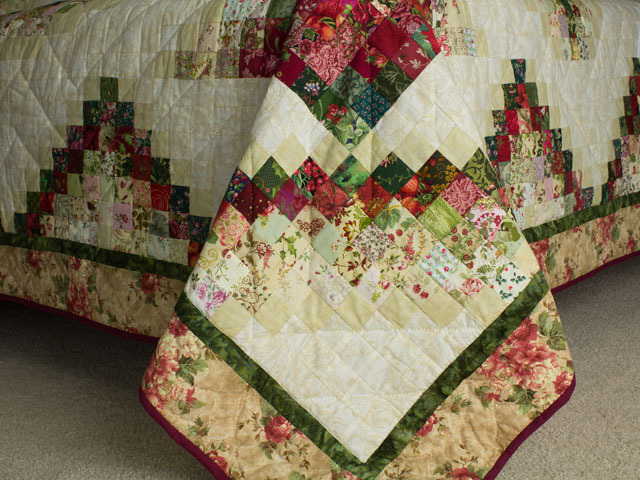 The hand quilting is also done by an Amish woman. 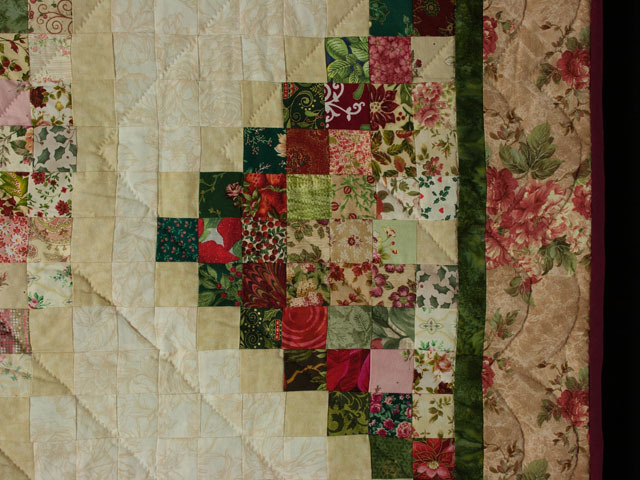 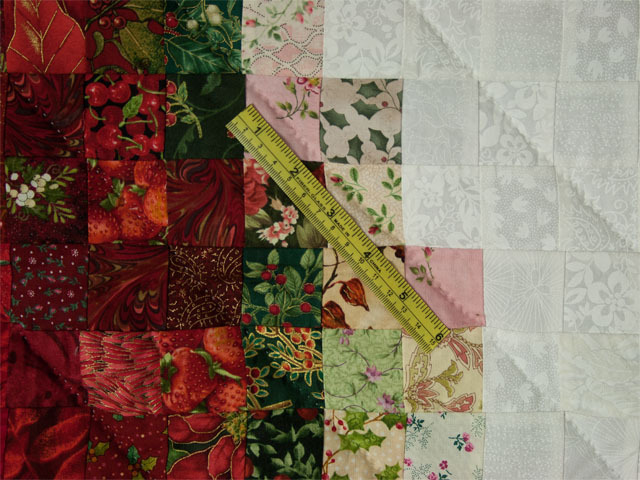 The backing on this quilt is covered with a beautiful floral print that could make this a reversible quilt if you wanted to use the backing side up. 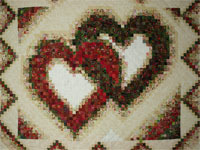 It is 100% cotton and is a suited addition to the theme of the hearts. 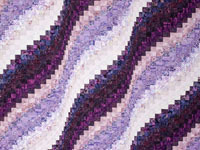 Very unusual in design! 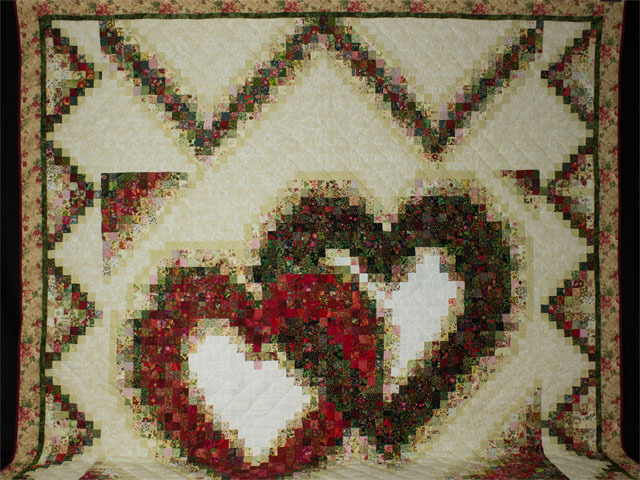 Quiltmakers: Linking Hearts Patterns designed by Mabel Burkholder are available for $16.50 - postage free in continental USA. 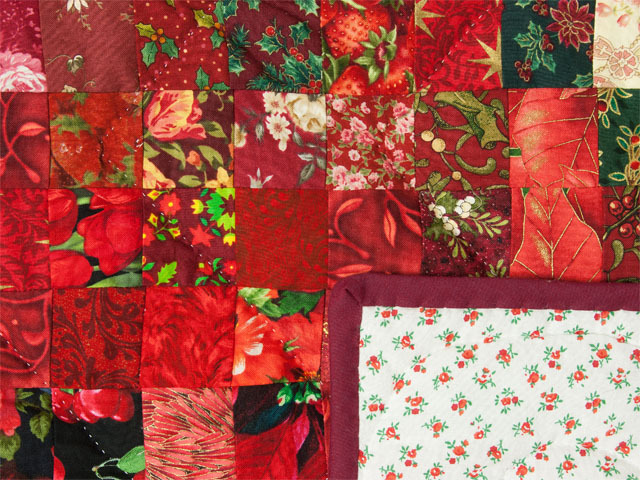 If interested: Please send check with your name and mailing address to: Quilt Expressions, 318 Bridgeview Circle, Bird in Hand, Pa. 17505 A high quality quilt.